As warmer temps arrive, state officials urge homeowners to buy flood insurance. The water table in parts of Wisconsin is above normal and Wisconsin Emergency Management warns some areas could have heavy flooding this spring. We&apos;ve experienced historic flooding events in the past two years, now Lori Getter and emergency officials want to make sure residents are ready in case we&apos;re in store for more flooding. Getter says a typical homeowner&apos;s policy does not cover damage from floods, and not many flood victims qualify for federal disaster assistance. And Getter stresses, even if you do get money from the government, it&apos;s never enough. 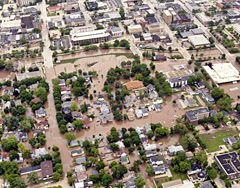 Thirty counties in southern Wisconsin qualified for federal disaster relief last year, with flood damage estimated at $765-million. But, Getter emphasizes, that money is a fraction of what&apos;s needed, that&apos;s why flood insurance is important – and you need to do it well in advance. National Flood Safety Awareness Week is March 16-20th.